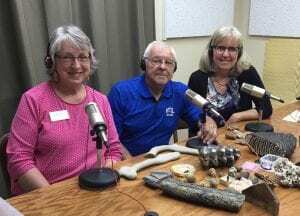 Monthly on Second Wednesdays – 9:45 a.m. to 10:30 a.m. 1050 AM & FM 106.1. Enjoy light banter with radio personalities, museum staff & guest speakers about intriguing upcoming historic events, exhibits & services. Listen & stay connected with enriching community happenings at the hub that you don’t want to miss!